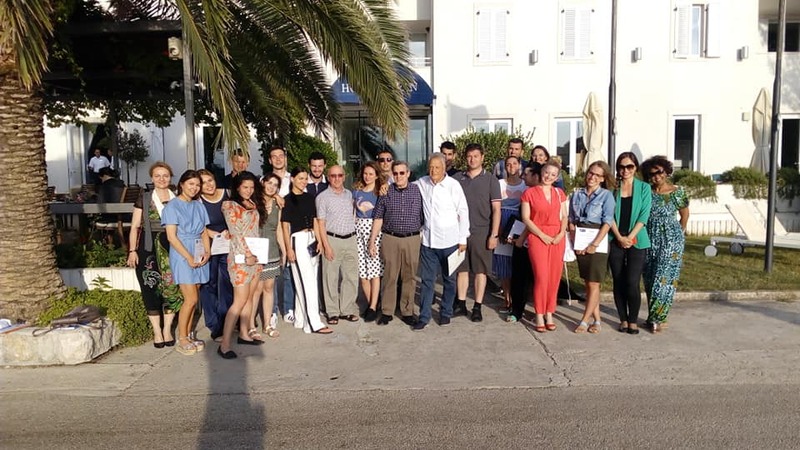 The 17th International Summer School organised by the Atlantic Council of Croatia with the support of NATO PDD and the International Institute for Peace in Vienna was held in the island of Sipan between the 24th and 29th of June 2018. This year’s topic was ‘The role of NATO in the process of stabilisation of Western Balkan countries’ with a special focus on the process of accession of the candidate Western Balkan countries in the European Union and NATO. The summer school gathered 25 participants from the region and wider as well as 20 keynote speakers including professors and experts in international relations and international security. 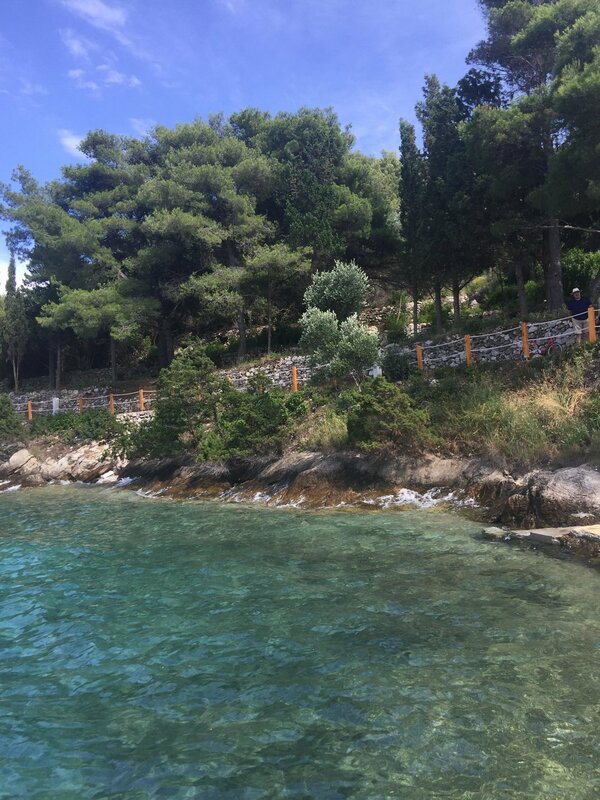 As part of my internship with the International Institute of Peace I was given the opportunity to participate in the International Summer School in Šipan and take part in the activities involved. The small classes and focused academic environment allowed us to immerse in the subject matter and gain a solid grounding for understanding the importance of dialogue and cooperation, in particular when it comes to issues that involve intergovernmental organisations such as the EU and NATO. Each candidate state was represented by speakers from the region who introduced the historical background of their states as well as the current political situation and their challenges and endeavours towards NATO and EU accession. What is more, the experts were keen in detailing the relations of Western Balkan states with neighbouring countries as well as explaining their ties with Russia and Europe. The lectures also referred to the current structure of the European Union and NATO and addressed the current socio-economic challenges faced in Europe, as well as the effect that America's foreign policy under the Trump administration will have on the aims and format of NATO and its impact on the accession process of the Western Balkan countries. After each lecture we had the chance to participate in deep discussions with the speakers, many of whom are typically busy and often inaccessible. What is more, the summer school’s overall structure and environment created a friendly and informal atmosphere that gave us the advantage to engage in a higher level of interaction during the breaks with the experts and gain their truly personal opinion. It is important to note the summers school’s simulation program, which provided a great opportunity for us to employ the knowledge we acquired during the lectures and use it in practise. The program involved separating the participants into 4 groups (Northern Republic of Macedonia/Greece/EU and NATO/Russia) in order to view the different interests of the confronted sides and negotiate on finding common solutions to make an agreement for the Republic of Northern Macedonia to be on the road of joining the Euro Atlantic integration in the near future. The exercise involved communication, leadership and team building, all of which helped us get to know one another and to connect. The fact that the simulation exercise required us to represent countries with conflicting interests and agendas than our home country, allowed us to step back and see the bigger picture and question our own countries policies and values. Further, it provided a great opportunity to interact with citizens of Western Balkans, Russia and US by asking and listening to find out the concerns and circumstances as perceived or experienced by them and engage in stimulating discussions. Given my Greek origin, I was placed in the team whereby I had to represent the Northern Republic of Macedonia during the simulation exercise. For me this was an invaluable experience, as I had to detach from my own subjective opinions, perceptions, values and the assumptions these bring into the name dispute situation and better appreciate the concerns and circumstances of the Macedonian people. This allowed me to explore the name dispute between Greece and Macedonia in more depth and develop more constructive responses to the contentious issue. One thing that I will surely take with me from this summer school, is that perspective matters. Looking at things from another's perspective can help people engage in quality interactions, build mutual trust, reciprocity norms, social cohesion and even shared values between countries. This is particularly important when it comes to political foes as they can facilitate conflict resolution and collaboration. The school took a great advantage of the beautiful scenery in the island of Sipan, which provided the perfect ground for us to get together, form friendships and network with like minded people, many of whom have interest in and enthusiasm for common issues. For me it was a valuable experience to meet people from the Western Balkans, Russia and the USA, on a neutral ground, setting aside any preconceived notions and getting to know their part of the story. It must be mentioned that when it comes to the Western Balkans, in particular, the summer school contributes to promoting stability in the region by supporting the development of youth collaboration and promoting multicultural awareness, tolerance and solidarity among young people. It thus contributes to the other efforts of the European Union towards the stabilisation of the Western Balkan region as well as cooperation between and with the countries of this region and European Union member states. Newer PostUkraine and the USA: What is at stake for Europe?